(StatePoint) Cooler weather and seasonal fall colors means it’s almost time for trick-or-treaters! Getting ready for all the fun the season has to offer can add up fast. Don’t let this Halloween give your budget a scare. 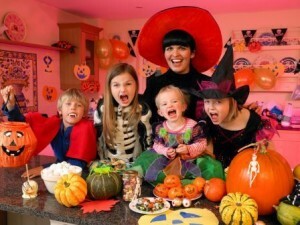 With some helpful money saving tips, you will be ready to have a spooktacular Halloween. Bring the colors of fall into your home with seasonal decorations. From pumpkin kitchen towels to owl décor and festive candle holders, you can accent your home in style. Adorn your front door with an autumn wreath. Warm your home with pumpkin scented candles and fall themed tablecloths and runners. For a scary theme guaranteed to thrill your trick-or-treaters, stock up on Halloween décor like skeletons, jack-o-lanterns, bats and cobwebs! Whether you’re planning for a crowd or just a few, don’t forget to stock up on the candy and treats that make Halloween so sweet. Try your hand at homemade goodies like scrumptious monster cupcakes or homemade popcorn balls. Make a Halloween trail mix with chocolate candies, pretzels, candy corn, rice cereal and pumpkin seeds. Visit www.dollargeneral.com/easymeals for quick, festive snack ideas to feed your hungry monsters. Use a fun decorated candy bowl and fill it with Halloween favorites to hand out to costumed visitors. Make sure to stock up on Halloween themed napkins and paper plates to add festive flair to your table spread. Above all, Halloween planning includes having a great costume. Check out your closet and use clothing items you already have to create a fun DIY look. Use bold make-up and fun hair styles to create your own unique costume. For the trick-or-treater who likes to accessorize, check out Halloween selections at your local discount retailer, like Dollar General. A variety of costume essentials and accessories are available starting at $1. Halloween comes once a year, but it doesn’t mean that you have to break the bank to have a great time. With quick tips and money saving ideas, you can have fun affordably.